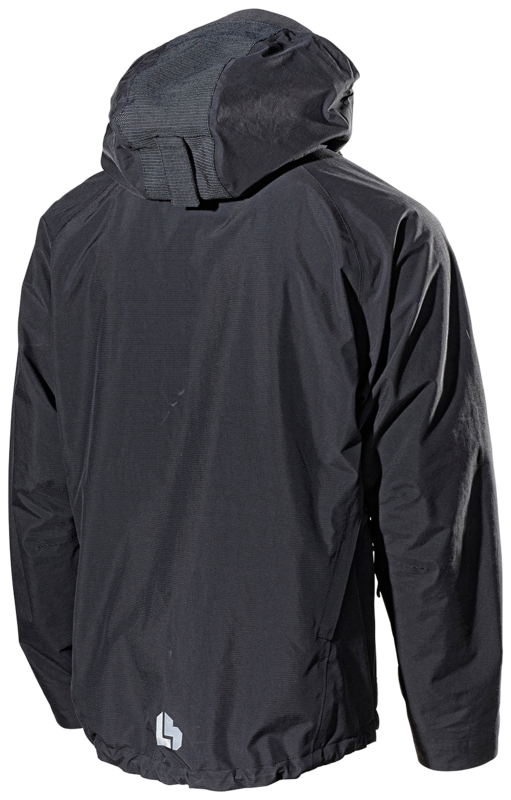 Extremely durable three-layer fabric, with the outer shell, membrane and lining laminated together. 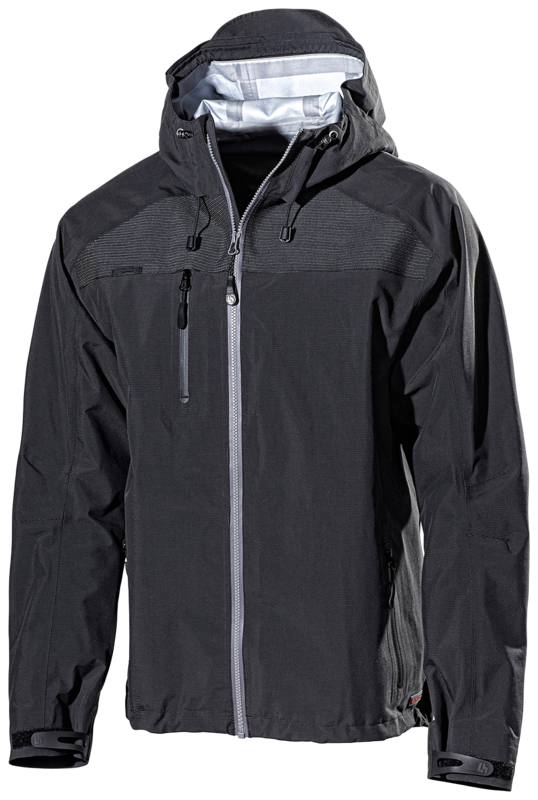 Wind and waterproof with good breathability properties and taped seams. Extended back to keep the hollow of the back warm. Easy access to the trousers’ front pockets. Internal front placket providing good wind protection. 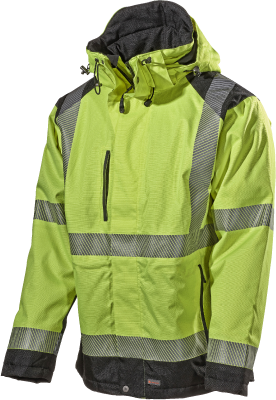 Reflective material at the front shoulder sections and hood for increased visibility. One chest pocket, two front pockets and an ID card loop. 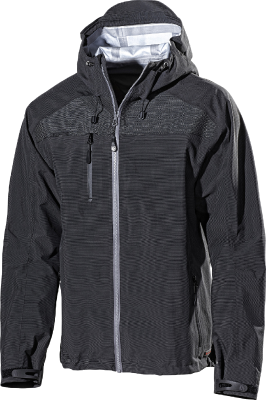 One inner pocket with zip fastening. Material and weight: 51% Polyamide 34% Polyurethane, 15% Polyester. 165 g/m². Certified in compliance with: EN 343, Class 3 3.